At the beginning of our marriage we decided to make candles for relatives as creative and economical Christmas presents. Although we didn’t realize it at the time, we also had more discretionary time BK (Before Kids) so we silk screened Christmas cards. 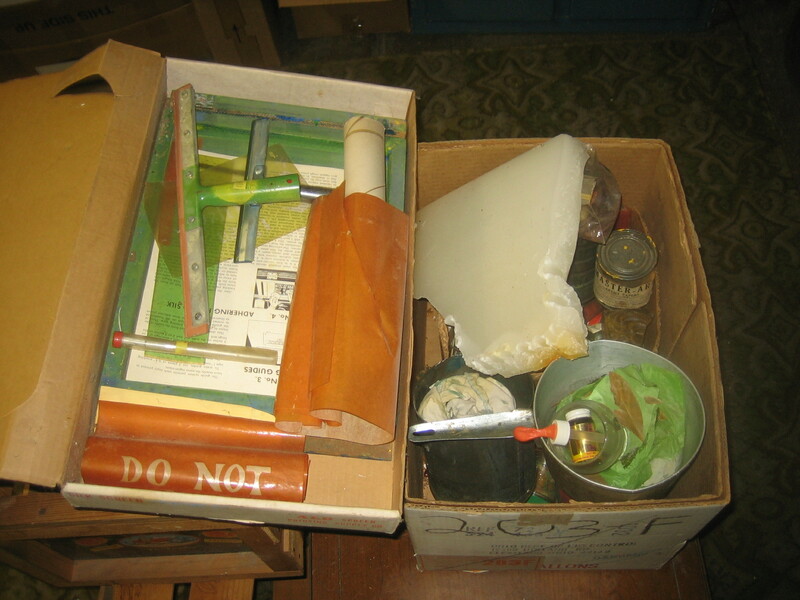 We now have more candles than we can use and don’t send snail mail Christmas cards, so today’s decision was easy – get rid of these arts and crafts supplies. Besides the equipment was so dusty and rusty I doubt it would work anymore. We downsized our garbage can this year but this stuff will fit. We have a whole room dedicated to crafts. The grandchildren love it, but are seldom here (Sicily and CA). You’ve inspired me to make that the next purge—starting with the buckets of dried flowers–nobody wants those wreaths anymore! #2 | Written by Terry Brumback Pompeo about 9 years ago. 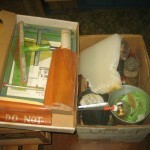 Evertime I get rid of something —I then think of a project it could be used in-wish I had a barn…….